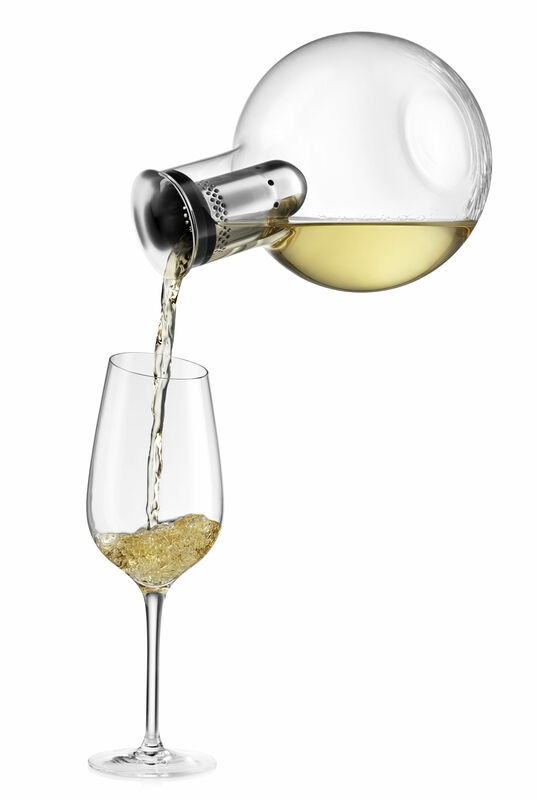 Wine carafe and wine cooler in one. 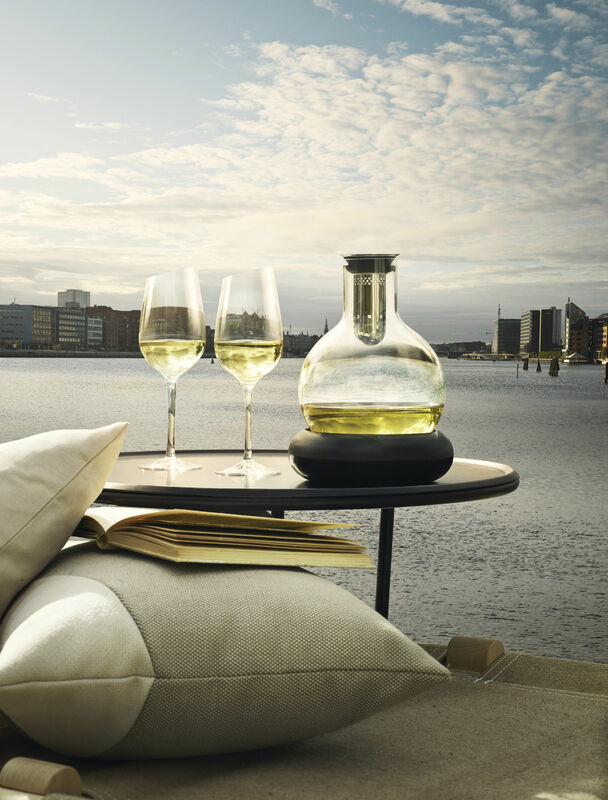 Keeps the wine chilled for up to 4 hours on the table – the base prevents condensation from running onto the table. Removable cold gel – place it in the freezer before use. 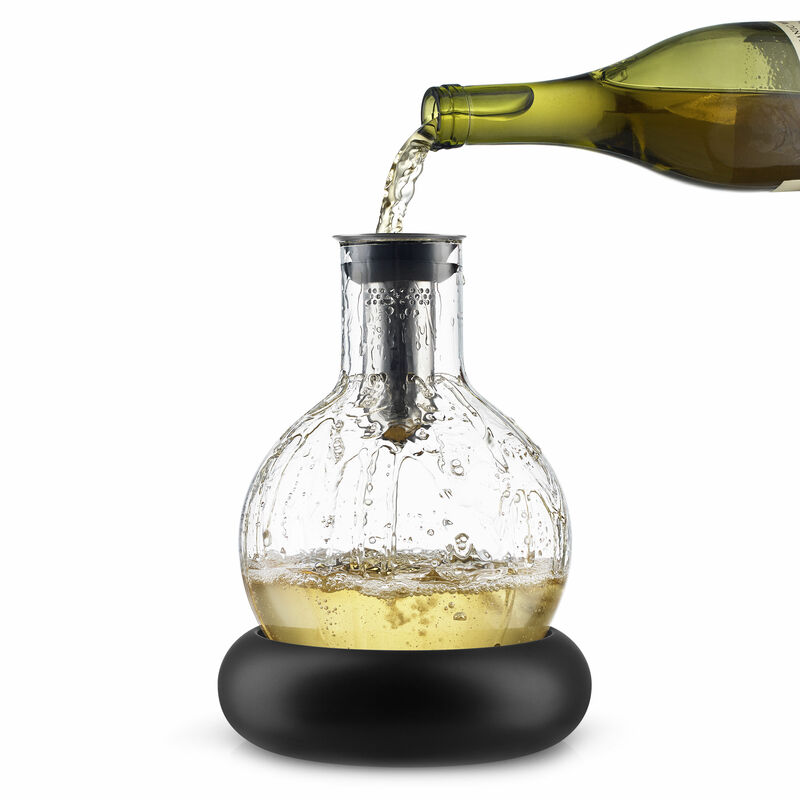 The decanter carafe brings out the best in the wine. When wine is poured into the carafe, it runs through small holes in the integrated funnel and down the inside walls of the carafe. 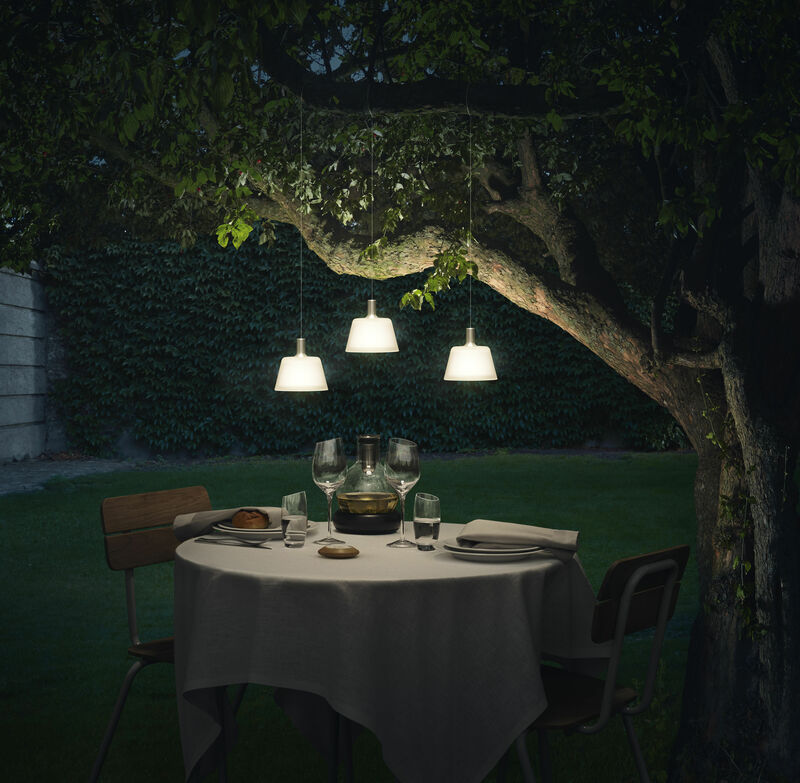 This oxygenates the wine gently, effectively - and beautifully. 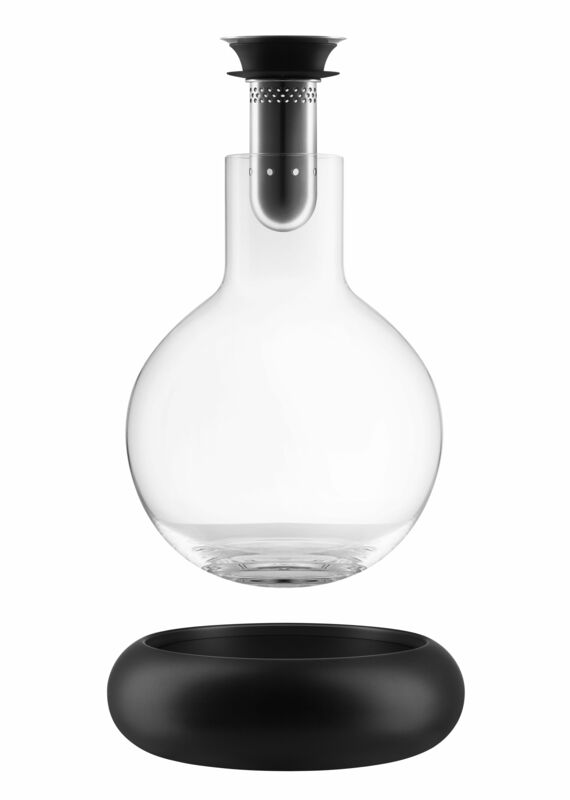 Also, the large surface of the carafe further contributes to the oxygenation process. 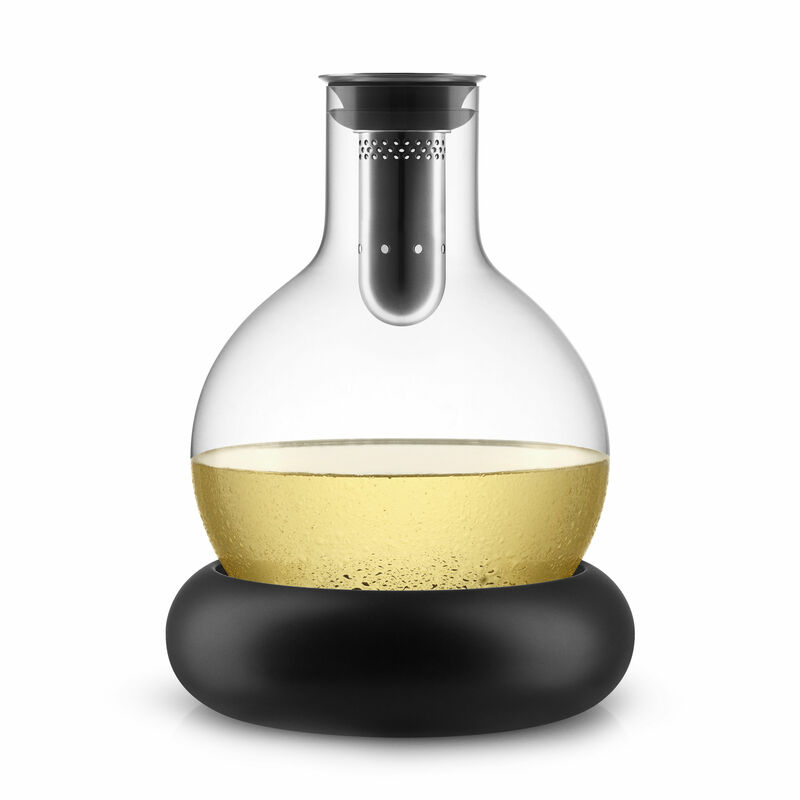 The decanter carafe holds a bottle of wine and is 100% drip-free.